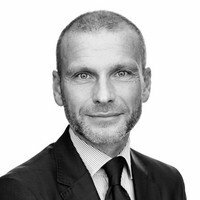 “The system ensures simple and robust HR administrative processes, solid data handling and thereby compliance with the new GDPR (General Data Protection Regulation) coming into effect in May 2018”, says Sten Mainz Rode, CHRO at the Danish Growth Fund. CatalystOne does so by digitalizing employee records and implementing a safe hub for employee data and HR processes. With CatalystOne, the Danish Growth Fund has a close partner to support them over time in their efforts of bringing the whole organisation over to a simple, robust and people focused HR system. "The system ensures simple and robust HR administrative processes, solid data handling and thereby compliance with the new GDPR". The Danish Growth Fund (Vækstfonden) is a Danish government-backed fund assigned to grow and develop small and medium sized Danish companies in order to further strengthen innovation in Danish commerce. Having co-invested in over 7.000 companies with more than 63.500 employees,The Danish Growth Fund has since 1992 contributed to substantial growth in the Danish business community.